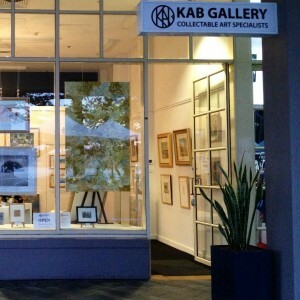 KAB Gallery was officially declared open by the City Mayor, Cr Lawrie McKinna (Gosford) in 2013. Located on Terrigal beachfront within the Crowne Plaza Terrigal, KAB Gallery is open 7 days 10am-5pm (10am-3pm Sundays). KAB Gallery specialises in collectable and investment art from a range of well-known Australian artists incl. Pro Hart, Norman Lindsay, David Boyd, James Willebrant, Gillie & Marc, Mellissa Read-Devine, David Bromley, Max Mannix, Simon Buchan, Sally West, Catherine Hiller, Katie Wyatt, John Earle, Patrick Carroll, the Central Coast’s own Greg Jarmaine. The gallery also provides a range of services for the art collector including restorations and valuations. KAB Gallery is one of the few galleries through the world to exhibit their full collection online for purchase. “I wanted to make great art accessible – so we aimed to have original museum exhibited artist’s art available for living spaces.” says Kerry. KAB Gallery has great partnerships with shipping companies so your art can easily be transported to anywhere in the world. KAB Gallery welcomes everyone to visit and view the ever changing exhibition of collectable artworks from some of Australia’s most well-known artists. It’s very important to both directors, that these artist’s works are accessible to everyone, and available at a range of prices to suit all budgets. KAB Gallery also works with Artmoney – interest free loan for art (available to all Australian, New Zealand and American citizens) This means that after making a 10% deposit, you can take your art home and pay it off over the following 9 months.